What is a Certified Financial Planner CFP®? 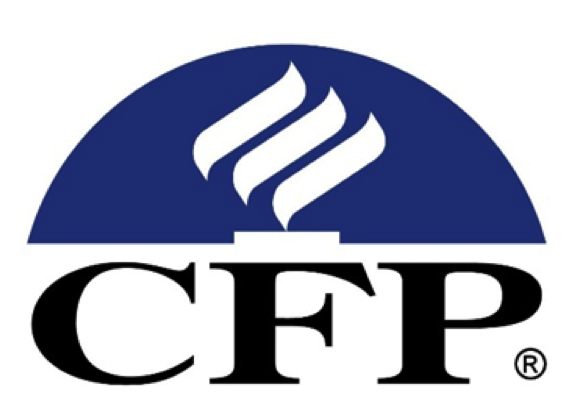 CFP (Certified Financial Planner) is the world’s most widely respected financial planning designation. As at January 2015, there are currently only 316 CFP professionals operating in Ireland. CFP designates are entitled to use the letters ‘CFP’. In order to achieve Certified Financial Planner status, you must first complete a post Graduate Diploma in Financial Planning and then be invited to complete the Certification Examination of FPSB Ireland to attain the international CFP designation. This is the only qualification in Ireland recognised by the worldwide Financial Planning Standards Board for its CFP designation. CFP professionals retain their designation by complying with Continuing Professional Development (CPD) requirements. CFP professionals are members of an international community of elite financial planning practitioners. What Are The CFP Certifiction Requirements? Education: CFP® professionals must develop their theoretical and practical financial planning knowledge by completing a comprehensive course of study at a college or university offering a financial planning curriculum approved by CFP Board Other options for satisfying the education component include submitting a transcript review or previous financial planning-related course work to CFP Board for review and credit, or showing the attainment of certain professional designations or academic degrees. Examination: The CFP Certification Examination is designed to protect the public by assessing the ability of a candidate for CERTIFIED FINANCIAL PLANNER™ certification to apply his or her knowledge, skills and abilities to real-life personal financial planning situations. A candidate for certification can sit the CFP Certification Examination after having successfully fulfilled FPSB Ireland’s education requirement. By passing the CFP Certification Examination, an individual demonstrates to the public that he or she has the ability to competently practice personal financial planning, without supervision. The CFP Certification Examination in the Republic of Ireland must be administered by FPSB Ireland under the strictest examination requirements, as defined by Ireland’s higher education and testing authorities. FPSB Ireland’s CFP Certification Examination will be an integrated or capstone examination, which will test the candidate’s ability to apply his or her knowledge, skills and abilities to real-life personal financial situations. The examination takes the form of a Case Study based and includes the preparation of a Comprehensive Financial Plan. Experience: CFP® professionals must have three years minimum experience in the financial planning process prior to earning the right to use the CFP® certification marks. As a result, CFP® practitioners possess financial counselling skills in addition to financial planning knowledge. CERTIFIED FINANCIAL PLANNER™ professionals are required to maintain technical competence and fulfil ethical obligations. Every two years, they must complete at least 30 hours of continuing education to stay current with developments in the personal financial planning profession. At least two of these hours must be spent studying or discussing the CERTIFIED FINANCIAL PLANNER professional’s Code of Ethics and/or Professional Practice Standards. In addition to the continuing education requirement, CFP professionals must disclose any public, civil, criminal or disciplinary actions that may have been taken against them during the certification period. CFP Certificants must also submit an Annual Renewal Declaration to retain certification.